by Rob - February 24th, 2016. Filed under: Book Tour, Quantum Night. 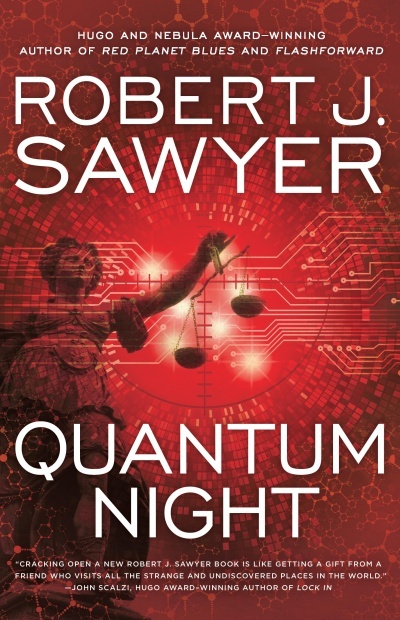 Will you have copies of Quantum Night with you when you come to visit Regina or should I order a copy online? For Regina, and ONLY Regina, where I’m not doing an actual bookstore event, yes, ordering a copy in advance online is probably wise. I won’t be schlepping copies with me. Everywhere else on the tour, there will be a bookseller on hand, but not, I think, in Regina. Thanks for asking! Sorry! I did a big Quebec push on my last book — not just Montreal but all the way up into Quebec City. Have to spread the love around the country! I found on ebay a seller called rjsawyer (808 )100% – is it really you and if I buy a signed copy from there will you get all the profits you are supposed to get or is this not an official resseler? Just bought my copy. Thank you so much for all the wonderful books throughout the years. So many hours of pleasure. What a great release party! So glad I was there and I started reading your book! Wow!